We started this business shortly after we got married; the kernels were planted approximately a week after our wedding, when Curtis’s mom told us she wanted to show us around her house the next time we were in town, so we would know what all the family objects were. Amanda said to Curtis, as they waited at the airport for their plane, “maybe we can make it a business, helping people catalogue their family heirlooms, photos, etc.” Curtis responded with, “that’s a great idea! I want to help you with that.” And so it began. A few months later, armed with ideas, equipment, and supplies, we went back to Curtis’ mom and grandma, and photographed the family heirlooms, while also recording the stories about the objects and the people who owned them. We went to Amanda’s mom’s house, and gathered family photos, recipes and stories, so we could create a family album and family cookbook with her. And we went to Amanda’s sister’s house to help her and her husband document stories about the European backpacking adventure they shared in their dating days, the trip that helped cement their relationship and build a strong foundation for their fifteen years of marriage which includes six kids. In the process of working with our families on these projects, we began to feel more rooted in our own identities and the places and people from which we came. Curtis expressed how strange it was to learn about an uncle he never knew he had; to examine a faded photograph, and to restore it, bring it back to life, seeing the eyes, the lines, that were familiar in his own face as well. We looked at the family heirlooms and with the stories that Curtis’s mother and grandmother gave to us, imagined a world that we’ve never lived in but now felt connected to. A young Norwegian immigrant woman, carrying with her a few precious possessions that would remind her of home - a bowl with a pattern ubiquitous in her mother’s generation, a wooden keepsake box that could hide small items from a foreigner, as it couldn’t be opened without knowing the special technique of the area. A deep black silk derby hat, wrapped in plastic, worn only once during the Depression, bought on the occasion of a father’s first child, worn on the train to take child and mother home. From the other side of the world and forward in time, we saw the meticulous formulas for pickling tropical fruits we’ve never tasted, and turning them into wine, from a culture where nothing could go to waste. We saw recipes that used every part of an animal, wild in a world where most of our food has been processed and packaged; normal in a time and place where you did the gathering, butchering, and cooking yourself and with your family. And then we saw ourselves. The pictures from our childhood from the perspective of married adults. We spoke to our mothers about bringing us up, and gained new understanding of how we were perceived as children and how we remembered our own experience of childhood. We valued the experience of our elders and ancestors more, for getting a glimpse into their world and the challenges they faced. 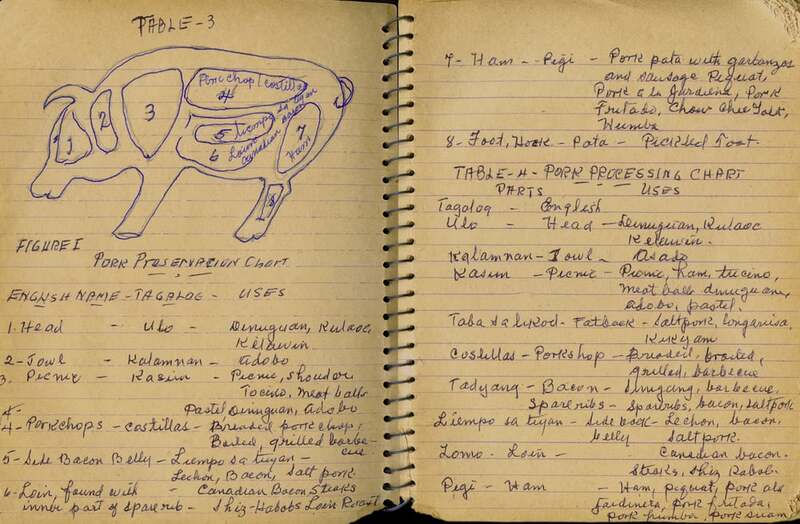 We became connected to these objects, photographs, and recipes, for knowing the stories behind them, how much they meant to our mothers and the mothers and fathers before them. This is why story matters. It brings new life and meaning to an object, to the people and landscape in a photograph, to a list of ingredients and techniques. For us, the stories have helped connect us to worlds beyond our own, make us feel kinship with those who came before us, whom we never knew.